The Echo wall sconce features a unique glass shade over white inner glass. 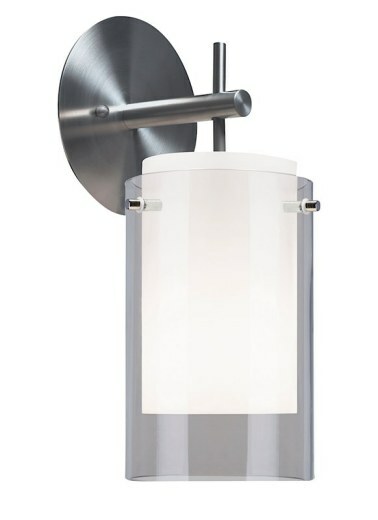 This beautiful contemporary light will add style and a beautiful look to your home. With a satin nickel finish, the sconce provides ambient, up- and down-light. The sconce includes a 75W incandescent or an 18W compact fluorescent bulb. Incandescent version dimmable with standard incandescent dimmer (not included).